This low mile and very solid 2008 Kia Sportage EX 4x4 features heated front bucket seats, a power sunroof, power windows, locks, and mirrors, cruise control, air conditioning, am/fm/cd/cassette, luggage rack, aluminum wheels and much more! During our inspection we replaced all 3 wiper blades, replaced the rear brake dust covers, replaced a parking lamp light bulb and changed the engine oil and filter. At McFadden Friendly Motors, we strive to provide you with the best quality vehicles for the lowest possible price, and this Sportage is no exception. This vehicle has been quality inspected, serviced and is sold with warranty! So stop in, call or click today before this great value is gone!!! See our entire inventory at www.mcfaddenfriendly.com! This well equipped and room 2007 Ford Edge SEL features a drivers side power seat, leather upholstery, power windows, locks and mirrors, cruise control, aluminum wheels and much more! During our inspection we replaced the left rear hub and bearing assembly, replaced the rear brake rotors, resurfaced the front brake rotors, and changed the engine oil and filter. Auto Check shows this to be a 2 owner vehicle with no reported accident history. 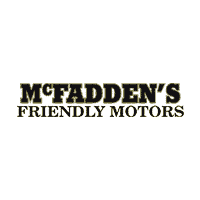 At McFadden Friendly Motors, we strive to provide you with the best quality vehicles for the lowest possible price, and this Edge is no exception. This vehicle has been quality inspected, serviced and is sold with warranty! So stop in, call or click today before this great value is gone!!! See our entire inventory at www.mcfaddenfriendly.com! This clean and sharp 2007 Ford Explorer Limited Edition 4x4 features dual power heated leather bucket seats with drivers side 2 position memory, dual climate control, power sunroof, 3 rows of leather seating to accomodate 7 people as well as am/fm/6 disc cd sound system, rear heat and air conditioning, tow package, running boards, luggage rack and aluminum wheels plus much more! During our inspection we replaced the battery, replaced the steerings rack and pinion system, aligned the front end, replaced the front brake pads, replaced the rear brake pads, as well as a fog lamp bulb, and wiper blades, mounted and balanced 4 new tires, and changed the engine oil and filter. At McFadden Friendly Motors, we strive to provide you with the best quality vehicles for the lowest possible price, and this Explorer is no exception. This vehicle has been inspected, serviced and is ready for immediate delivery! Stop in, call or click today, before this vehicle is gone!!! See our entire inventory at www.mcfaddenfriendly.com! CLEAN 2009 Toyota Tacoma regular cab automatic. am/fm/cd air conditioning, tires like new,Tonneau cover, bed liner.. sweet little truck great gas mileage. During our inspection we replaced the air filter, rotated and balanced the tires and changed the engine oil and filter. Auto Check shows this to be an accident free Ohio and Indiana vehicle, and this likely contributes to it's clean appearance. At McFadden Friendly Motors, we strive to provide you with the best quality vehicles for the lowest possible price, and this Tacoma is no exception. This vehicle has been inspected, serviced and is ready for immediate delivery! Stop in, call or click today, before this vehicle is gone!!! See our entire inventory at www.mcfaddenfriendly.com! This 2013 Hyundia Elantra is one well equipped and super fuel efficient cars! At 38 mpg on the highway and a low monthly payment this car is sure to stretch your dollar! Equipped with power windows, power locks, cruise, air, power mirrors, automatic, premium sound system with blue tooth, satellite radio, cd player, usb and aux ports, plus aluminum wheels and more! During our inspection we replaced the front brake rotors, replaced the battery, and changed the engine oil and filter. At McFadden Friendly Motors, we strive to provide you with the best quality vehicles for the lowest possible price, and this Elantra is no exception. This vehicle has been quality inspected, serviced and is sold with warranty! So stop in, call or click today before this great value is gone!!! See our entire inventory at www.mcfaddenfriendly.com! This 2012 Chevy Equinox LT all wheel drive features a power drivers seat, heated front bucket seats, am/fm/cd with streaming blue tooth, power windows, locks and mirrors, cruise, aluminum wheels, sunscreen glass, roof rack side rails and much more! During our inspection we replaced the front wheel hub assembly, replaced the left and right front stabilizer links, replaced the right front low beam head lamp, as well as left front fog lamp, replaced the front brake pads and rotors, replaced the front wiper blades and changed the engine oil and filter. Auto Check history report shows this Chevy to be a one owner with no reported accident history. At McFadden Friendly Motors, we strive to provide you with the best quality vehicles for the lowest possible price, and this Equinox is no exception. This vehicle has been quality inspected, serviced and is sold with warranty! So stop in, call or click today before this great value is gone!!! See our entire inventory at www.mcfaddenfriendly.com! This 2013 Ford Transit is the pefect tool for your business or personal life style, giving you the space and secured storage with it's side doors, rear doors and high roof you need while giving you the fuel economy and good road handling (front wheel drive) that we need in our northern climate. This Transit is the XLT trim level so it offers power windows, locks and mirrors, cruise control, air conditioning, am/fm/cd with aux port, rear park assist, comfortable front cloth bucket seats, a partition to keep you safe from moving cargo, easily removable storage system the previous owner used, and much more. During our inspection we replaced the serpentine belt, replaced 2 cracked ignition coils, mounted and balanced 2 new tires, and changed the engine oil and filter. Auto Check shows this to be an accident free 2 owner vehicle. At McFadden Friendly Motors, we strive to provide you with the best quality vehicles for the lowest possible price, and this Transit Connect is no exception. This vehicle has been quality inspected, serviced and is sold with warranty! So stop in, call or click today before this great value is gone!!! See our entire inventory at www.mcfaddenfriendly.com!